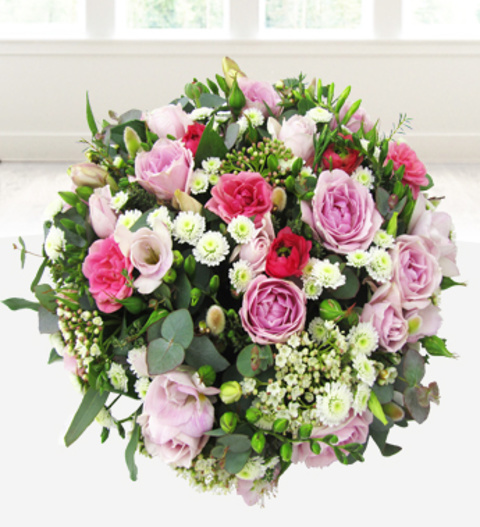 A beautiful funeral posy skilfully arranged with sombre shades of pink and white. This memorable sympathy tribute includes pink spray Roses, fragrant Freesias with forest fresh greens. All of our funeral arrangements are skilfully arranged by our professional florists and hand delivered direct to the funeral or funeral directors.